The Endo Blog: Cone Beam (CBCT): To Use or Not to Use? Cone Beam (CBCT): To Use or Not to Use? There has been some discussion about the indications for use of CBCT in endodontics. The AAE and AAOMR released a joint position statement regarding the use of CBCT in endodontics. The section on patient selection criteria states, "CBCT must not be used routinely for endodontic diagnosis or for screening purposes in the absence of clinical signs and symptoms. 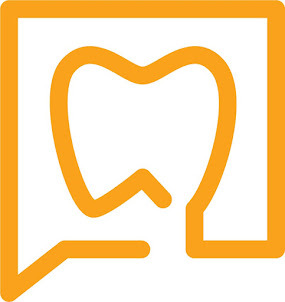 The patient’s history and clinical examination must justify the use of CBCT by demonstrating that the benefits to the patient outweigh the potential risks. Clinicians should use CBCT only when the need for imaging cannot be answered adequately by lower dose conventional dental radiography or alternate imaging modalities." I would suggest that there are times when a clinician has no way of knowing what additional information a CBCT would provide prior to starting treatment. This information may often prevent complications, such as perforation, which potentially could affect long term prognosis. The following case is a perfect example. This patient came to SSE for emergency treatment. #18 DX: Necrotic pulp w/ Symptomatic Apical Periodontitis. RCT initiated. 3 canals located, however a 4th distal canal is not found. 2 distal roots are apparent the pre-op film. The ML, MB and a distal canal are located. The distal is opened looking for the 4th canal. After 20-30 minutes of searching for 4th canal, the patient is re-appointed for 2 step treatment. Upon return for second visit, the symptoms of SAP have not completely resolved. Slight vestibular swelling noted. We decided at that point to take a CBCT to help us located the 4th canal. The CBCT clearly shows us that a perforation has been created (red arrow), and the additional canal/root is lingual to the DB canal. A sagittal view, provided only by CBCT, can provide information that is not available by conventional radiography. With these images, the 4th canal is easily located within minutes of opening the tooth. In this case, a CBCT provided valuable information that identified location of the 4th canal. If taken prior to starting, the 4th canal would have been located more quickly and without the small perforation in the distal. I am not suggesting that CBCT should be used on every patient, but I am suggesting that with multiple rooted teeth, the sagittal & axial view provided by CBCT can save time and prevent endodontic complications, both of which provide justification for a more routine use of CBCT in endodontics. In our practice at SSE, the CBCT is not a profit center. We have priced these images to make them affordable to all patients. Our implementation of CBCT is to provide the highest quality of endodontic care available. Nice case Jason! You totally inspired me couple of years ago to start blogging. Initially, I got some ideas from you, and then, got it going. I enjoy reading your posts! Thanks! I also came acrossed Andreasen's trauma site - www.dentaltraumaguide.org. It is by far the best trauma reference online. Dental implant prices average ranges 600 USD – 700 USD. Healthy for the right decision and pre-interview and appointment, please ask us. We will guide you by showing the best options in the computer environment, according to your preferences and would be best to make a more accurate pricing. I don't know where you practice, but if someone offered to do a $600 USD implant around here, it would be in somebody's garage using a wood screw from Home Depot. Thanks for your comment. Your blog looks great! I have added you to my list of great dental blogs! 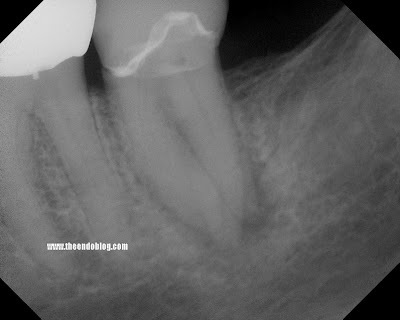 Was this case started by an Endodontist who had a history of using the microscope? If so, I can't imagine this perforation happening or a difficulty in locating the 4th canal. If it wasn't, this patient underwent rather unnecessary radiation exposure (and grief). If you look at the axial slice of the CBCT image, you will see that the position of the DL root/canal was in a very odd position. Any experienced clinician with a microscope is less likely to have a perforation, but nevertheless, they can still occur with strange anatomy such as this. I still wonder who started this case. Was it a GP? Yes, the anatomy was strange; however, initial films should have indicated this before the access was even made. I just believe in my heart and mind that if this case was referred to an endodontist in the first place, there would have been no need for a CT and likely a perforation would not have occurred. Without the CT, an endodontist using microscope magnification still would have noticed the perforation and likely would still be able to find the second distal root/canal. I appreciate your comments and point of view. I started this case as a regular root canal without CBCT, under the microscope. I looked extensively for the 2nd distal canal, by opening up the distal canal in a bucco-lingual direction. Knowing that there was another canal, but not being able to locate it, I decided to take a CBCT. The CBCT showed me the reason I was not finding it, and had to take a much more aggressive lingual approach. Maybe this is too cliche, but until you have the technology, you really can't appreciate the information it gives you. I would not consider the CBCT as an income source. It usually slows down the consult/treatment & requires more time to interpret. In certain cases, it just gives you more information than you could get otherwise. A patient consulted for pain despite root canal re-treatment of mandibular first molar. X-ray taken showed radiolucency only at mesial buccal root. A CBCT however showed the alveolar bone to be completely hollow (no spongy bone seen, only presence of compact bone). Not sure if this is due to widespread infection resulting in extensive bone loss or lack of spongy bone development. Any other test that might be useful?